No one wants to admit things are tough, and farmers are some of the proudest people in Australia. But sometimes they need our help, especially before it’s too late. 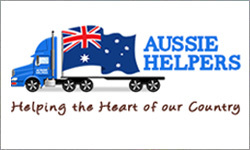 Aussie Helpers stays in touch with 100’s of farming families to ensure their well being and survival through good and bad times. I encourage you to be part of this effort either with a donation, fundraising or general support, all is always welcome at Aussie Helpers. We only survive because of the kind generosity of the public’s donations and our kind sponsors. Well appointed North facing home set amidst established lawns and gardens with stunning rural vistas. 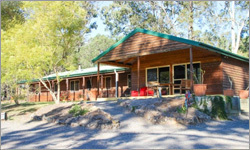 *17 well balanced acres * Privately set, the Western red cedar family homestead of big proportions offers * 5 double bedrooms * 2 bathrooms * Open kitchen, dining and lounge with a cosy wood fire * Recent extension offering additional indoor / outdoor living areas* Full length front verandah * 3 bay shed with one lockable bay. 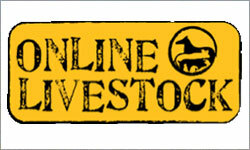 * Divided into 2 main paddocks with 2 stock dams. 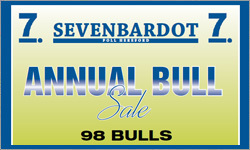 Sevenbardot Poll Hereford Bull Sale on Friday 11th September 2015 at 1 pm at Wigelmar Bylong. * All bulls are grass and crop fattened. * Available for inspection at any time. 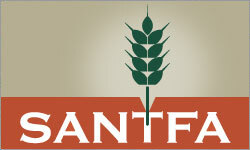 * The sale will be interfaced with Auctions Plus. * Agents are Landmark and Elders. An Indigenous cattle station in Western Australia's far north is sowing crops as part of a groundbreaking irrigation trial. Four years ago Mowanjum Station, near Derby in the West Kimberley, was not even operational and it had been decades since the last cattle were sold. Now water is flowing for the very first time, following the recent installation of a centre pivot irrigator. 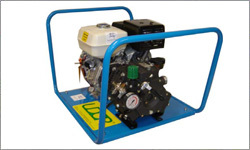 Australian Pump Industries, commonly known as Aussie Pumps, specialises in high performance, self priming centrifugal transfer pumps for a wide range of applications including fire fighting as well as water and chemical transfer. Aussie Pumps also manufactures and imports high pressure cleaning equipment including cold water blasters, steam machines and drain cleaning jetters for tradesmen and cleaning professionals under the Aussie Eco-Clean brand. Rainfall totals are the lowest on record over the past year for parts of western Victoria and south-eastern South Australia, weather forecasters are warning. 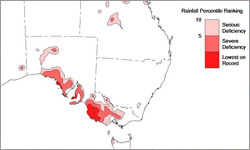 The latest drought analysis from the Bureau of Meteorology (BoM) said below-average rainfall for June had compounded the deficiencies over the past year. "A substantial area of lowest-on-record rainfall has emerged for the 12-month period in south-eastern South Australia and western Victoria," it said. All the bulls have been weighed and scanned ready for next weeks bull sale. The combination of a full set of performance recording displayed as EBV's, the physical appearance of the bulls and the raw data on the Supplementary Sheet is available to assist you in selecting the bull most suitable for your program. The bulls have been fertility tested. Their gear check is done and their little swimmers are all set for the breeding olympics! Buffalo flies were accidentally introduced into northern Australia from Asia in the mid nineteenth century. 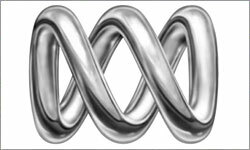 Since then they have spread through northern Western Australia, the Northern Territory, Queensland and north-eastern NSW. They first entered NSW in 1978 and since then have spread south. The distribution of buffalo flies within NSW varies from season to season. Warm, moist conditions favour multiplication and spread. 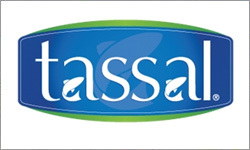 Tasmanian salmon farming company Tassal has won a major national award for sustainability, just days before a Senate committee hands down its findings into the environmental impact of the industry. Tassal's head of sustainability, Linda Sams, said the company had been recognised at the Australian Business Awards for its commitment to sustainable business practices. 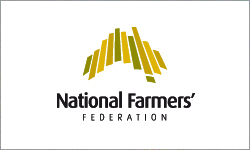 The National Farmers’ Federation (NFF) and the Produce Marketing Association Australia-New Zealand (PMA A-NZ) have today jointly hosted an industry forum to discuss the importance of overseas workers to Australian agriculture. 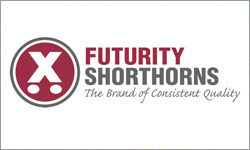 The forum was held in Canberra and attended by key stakeholders across the fresh food supply chain, including farmer representative groups, retailers, unions, overseas workers, academics, recruitment services providers, social welfare organisations, government and political representatives. A NSW Farmers farm gate sign could be the ticket for a $10,000 holiday break in a photo competition launched by the association at AgQuip Field Days in Gunnedah this week. 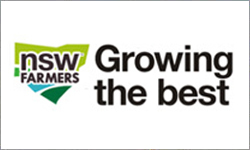 The NSW Farmers ‘Proud Member’ farm gate sign competition will see members vying for a $10,000 Swagman Tours holiday voucher or for one of two $500 runner-up prizes. 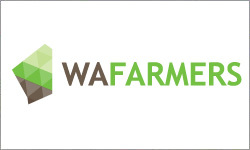 The Queensland Farmers Federation (QFF) is supporting farmers and on-farm businesses achieve greater energy efficiency through a series of practical workshops across the State. 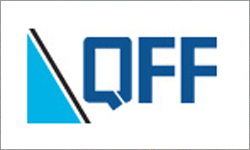 QFF CEO Clare Murray, said the workshops will provide farmers with the tools and knowledge required to minimise their energy costs and increase their profitability. “The workshops will include presentations about energy efficiency technologies for farms, products for financing energy efficiency projects and local case studies about on-farm energy efficiency,” Ms Murray said. 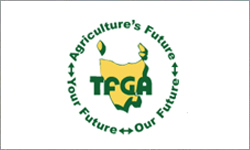 Members of AgConnectWA, a group for young people who are passionate about agriculture, recently elected a President and Vice President at the annual conference #GenerationAg. 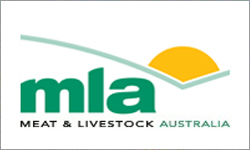 Kallum Blake of Katanning was re-elected to the position of President, with Katie Pole, from Larrawa Station, elected as Vice President. Mr Blake thanked the AgConnectWA committee for their continued hard work on behalf of the group. 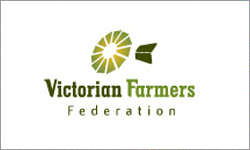 The Victorian Farmers Federation has reiterated its opposition to mandatory electronic identification of sheep and goats, following today’s release of the Auditor General’s report into livestock biosecurity. “Electronic identification of sheep and goats is far too expensive to warrant forcing farmers down the path of having to e-tag all their mobs,” VFF Livestock President Ian Feldtmann said. As it stands Victorian sheep are currently traced using visually readable tags and paper records. The 10-year anniversary of the Tasmanian tractor-powered Fair Dinkum Food Campaign was recognised today in the State’s vegetable growing heartland on the North West Coast. Local growers and Tasmanian Farmers and Graziers Association members joined Fair Dinkum Food campaigner Richard Bovill, former TFGA Vegetable Council Chairman Ian Young, current TFGA Vegetable Council Chairman Nathan Richardson and TFGA President Wayne Johnston to mark the achievements of the Tasmanian industry in the fight to change the requirements of Australia’s country of origin labelling.